Cooking the holiday meals, baking those delicious desserts, and catching up with family and friends. It is the season where the kitchen is one of the busiest rooms in your home. If your sink is equipped with a garbage disposal, it is a tool that you will most likely be using often. It is important that your garbage disposal is running problem free before the holiday craziness. 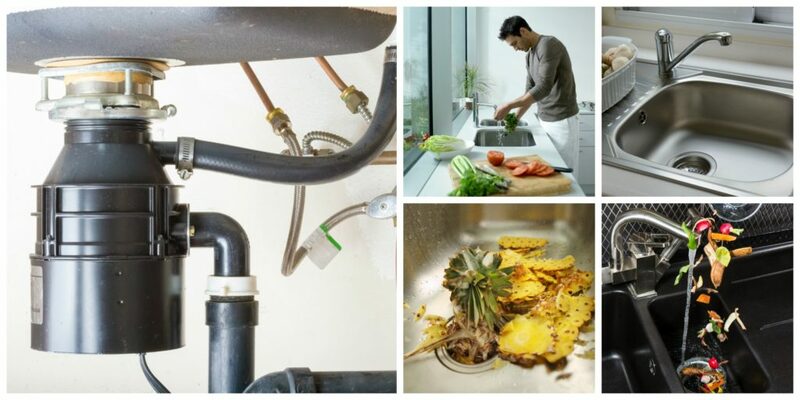 You want to make sure that the disposal is properly maintained and clean. A simple and easy way to do this is to pour in a little dish soap, small pieces of lemon peel or orange peel (breaks down grease as well as eliminates unpleasant odors) and run cold water through the garbage disposal during and also for a few minutes after use. The reason for cold water is that it will cause any food and substances in the disposal to harden and be broken up by the blades. Another easy and effective maintenance procedure is to sharpen the blades of the disposal. To do so, run a few ice cubes through your garbage disposal. This will not only sharpen the blades but clean up any grease build up you might have. It is recommended to run your garbage disposal on a regular basis. If it is not used regularly, the internal parts can freeze up, rust and corrode. Even if you do not have anything to grind up, run cold water and soap though the disposal. When using your garbage disposal, make sure the pieces you are grinding are cut small and that you run them through one at a time. Putting too many plate scrapings down the disposal all at once can prevent everything from grinding up small enough and can also damage internal parts of the disposal. Certain hard items such as small chicken bones, egg shells, and fruit pits are acceptable to run through the disposal, but we discourage this practice as they will most likely cause a clog in the sewer piping. Always remember to run cold water though when running any food waste through the disposal. It is very, very important not to put certain items down your garbage disposal. Glass, metal, plastic and paper are all things to avoid as well as large items such as big bones. These can jam the blades of the disposal. Expandable food items such as pasta and rice can stick to the sides of the disposal which will make it difficult to clean and flush the disposal out. When grinding items through your garbage disposal, make sure that you do not stop the motor from running until the grinding is complete. While you are in the kitchen this holiday season, just be aware of the Do’s and Don’ts when using your garbage disposal. While a garbage disposal is a useful tool, it can also be very dangerous if not used with caution. Never reach into the disposal if there is a jam. You can use a needle nose pliers or something similar to grab the item or call us at Rodgers Plumbing to come help.